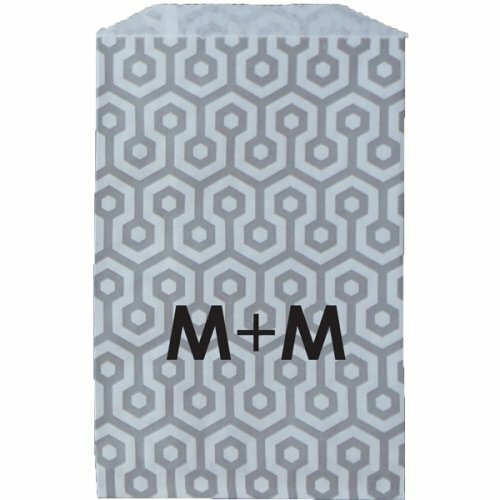 Our Grey Honeycomb Paper Bag offers a bold and fresh design. Their mid-size makes them perfect for treats, a unique envelope for a card and also lovely gift wrapping. Each bag measures 5" x 7.5" and made from white Kraft paper that is food safe, semi-opaque, bio-degradable and recyclable. Add the Swoozie's touch by personalizing with printing for only 25 cents or adding one of our many custom Swoozie's Stickers!